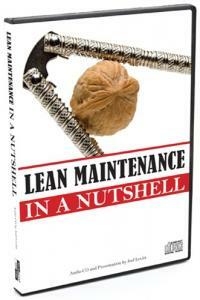 What is Lean Maintenance and why should people consider using it? This 30 minute, 9 track, audio CD version of author Joel Levitt's best selling text Lean Maintenance is designed to answer that very question. Uncover waste in your organization and find projects to get rid of it that will pay off in days, save money and time, and reduce your organization's environmental footprint all at the same time. Produced for anyone in a leadership position in maintenance, storeroom or production, this unique audio training will also be useful for vendors, contractors, and service providers. 10 Minutes a Week to Great Meetings is a two part book. The first part is a 10 week training course that can be accomplished in a few minutes a week. 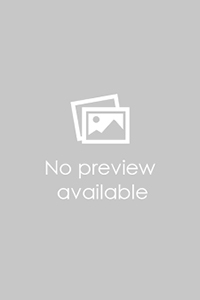 Designed for both meeting old timers (it contains reminders about good meeting practices) and for people new to leadership (it is a great way to get up and running as a meeting whiz quickly). The second part and fleshes out the 10 lessons and has forms, checklists and has over 100 ideas to improve your meetings. Maintaining a fleet of mobile vehicles and equipment creates a unique set of problems. 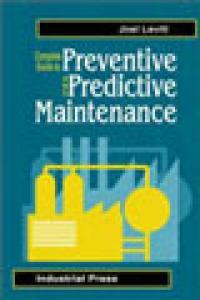 Written in a clear, straight-forward style, this handbook covers all the important issues for managing fleet maintenance in today's environment, including predicting and planning for breakdowns; changing strategies as your costs rise; work standards, inventory, staffing and shop design issues; best use of warranties and vendors; work orders, inspections, insurance; parts, fuel and tire management, and other hot topics. In addition to providing cost-effective strategies and techniques, we add easy-to-use checklists, self assessments, real world case studies and a special list of action items that you can use immediately to re-direct your maintenance efforts for maximum results. 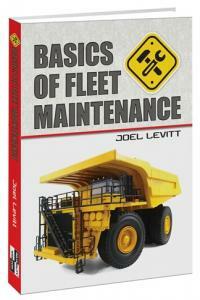 If you could buy only one reference for helping maintain your fleet, this should be it! 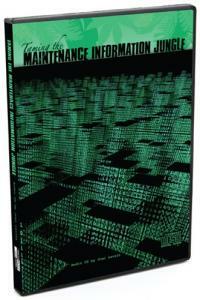 This book is referenced in our Fleet Maintenance workshop, but can be purchased independently. A person who feels mastery over his or her environment transforms 'bad' stress into true excitement, working on time management as a skill, which helps a person feel that mastery. The goal is not to feel in control because that is an illusion. The goal of time management is feeling that you can master anything that comes at you. Fact: As a busy maintenance professional, very little of your time is really yours. Most of your day is programmed by your boss, subordinates or the business system you operate in. It is essential for you to manage what little time is left! Maintenance leadership is under tremendous pressure to improve performance every year. This pressure puts heavy demands on any manager, supervisor or engineer's time. Successful leaders from all disciplines must successfully manage their time so they can thrive and produce beyond expectations. The problem is that without time management, their home life will end up suffering. The best managers balance their demands and enjoy a life outside the job. This special audio CD and e-Book by maintenance expert Joel Levitt includes a one hour presentation, a comprehensive printable e-Book (PDF), and specific recommendations to begin your journey toward mastering time, improving your productivity. Includes a workbook in PDF format with exercises to get you started. * Match activities with the best time of the day to do them. 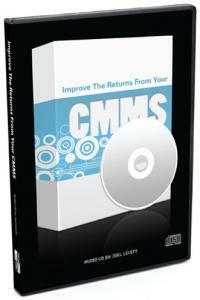 The power of a CMMS is in the store of data and what you do with the information they contain. Unlocking this treasure trove for analysis enhances your decision-making and points the way to areas for maintenance improvements. Yet all too typically, the barest minimum of this powerful software feature is used - just enough to get the job done. Join world-class maintenance expert and author Joel Levitt for a 30 minute audio course designed to improve the returns you get from your computerized maintenance management system. This special audio CD and e-Book includes a one hour presentation, a comprehensive printable e-Book (PDF) and many practical exercises to begin your journey toward mastering the flow of information in your life. Runs on any standard audio CD player, including car players. May be added to iTunes for iPod playback or other MP3 players. Maintenance departments are expected to do more with less resources than ever before in today's competitive environment. To remain effective, maintenance staff must have the right information at the right time. * Runs on any standard audio CD player, including car players. May be added to iTunes for iPod playback or other MP3 players. Need something to introduce maintenance concepts to top management, to people in production, purchasing, accounting, or even for your own new workers? 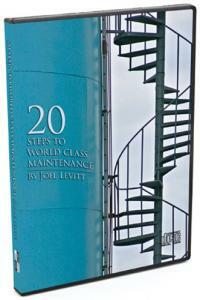 Try this audio CD, recorded live from a class on World Class Maintenance. CD is approximately 70 minutes long.